Struggling to hold cabinet parts in alignment while driving fasteners can be an exercise in frustration, and if you're using a nail gun, downright dangerous. 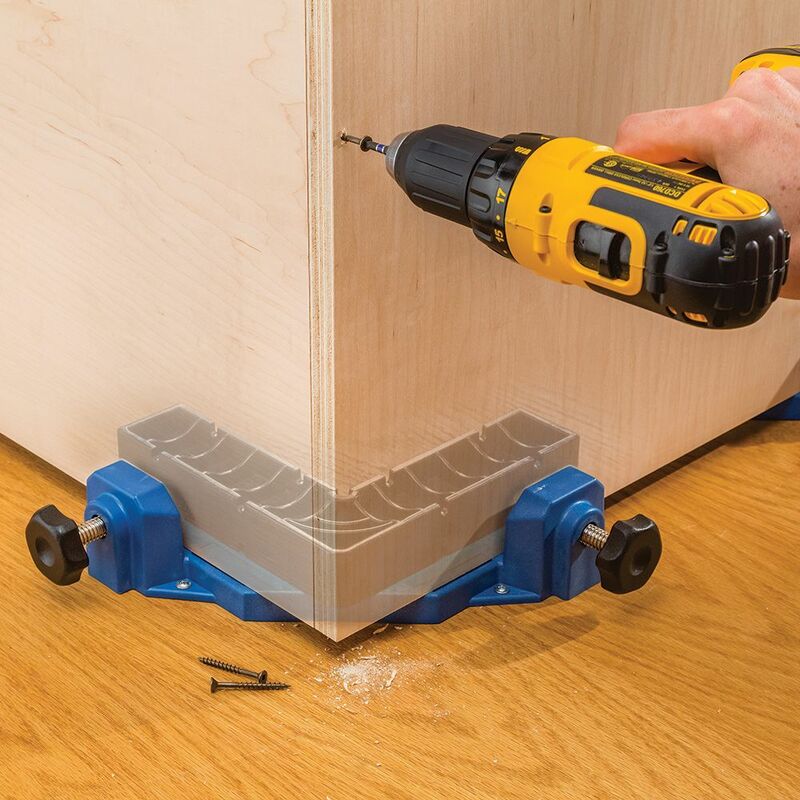 The Rockler Clamp-It® Corner Clamping Jig eliminates that frustration by providing another set of ''hands'' to hold your parts together. It's used with the enormously popular Clamp-It® (#29190, sold separately) to hold panels at a precise right angle for fastening. Used in sets of four, the jigs are supportive enough to hold an entire case assembly as it is being assembled. The clamps have soft pads to prevent workpiece marring. Mounting holes in the jig allow for attachment to your work surface. Drilling of 3/8" holes may be required in older Clamp-Its for use with this product. I built a small cabinet and needed to make some drawers. With the help of these Rockler Clamp Corner Clamping Jigs, it made my life so much easier. Now I don't need an additional 4 hands and arms to do work on my projects. I like it, but I should have ordered at least a pair for easier assembly. They should be a great addition to my shop. I have not used them yet but tried them with 2 scrap pieces of wood and they worked well. I used this clamp in conjunction with the right angle to make sure my table frames were square. They worked great! Helped keep my corner straight while screwing pieces together. I would recommend! This is by far the most accurate and convenient to use corner clamp in my shop. I typically will use them in pairs to create a single corner for boxes or drawers. Alignment is easy as is adding mechanical fasteners. 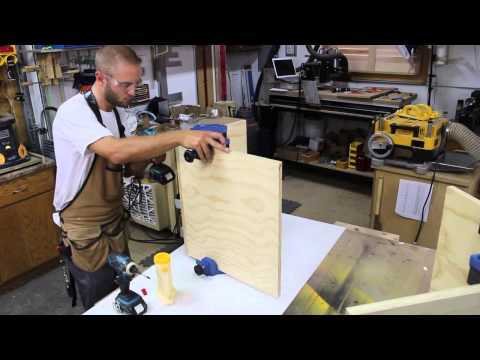 This worked great for assembling cabinets. I ordered 4 to allow me to assemble the entire piece before adding any of the fasteners. They are a bit pricey but the construction is solid and I did not see anything comparable on the market. Amazingly handy tool, along with the insert, for assembling cabinets. Useful addition to the shop. Makes drawers and boxes easy! I use it for picture frames. I put them together and then use spring clamps to hold the corners until the glue is dry, about 20 minutes.The spring clamps hold the corners great and they don't squeeze out the glue I put on. The open corner on the clamp allows me to get the clamps onto the corners. I love them. Works great for squaring up pieces while gluing and joining. Makes building cabinets a lot easier. Bought this alongside the assembly square and they work very well together. Makes screwing together boxes/cabinets a breeze. Bought this primarily for cabinet work. Square corners are easy with this jig. I've used this jig on several projects and it has made it so much easier. My only complaint is the black 90 degree pieces do not come with the jig. Without them the jig is almost useless, but they have to be bought separately. Great tools that really save time and give you great alignment the first time . Wish I had bought these years ago. Great addition to my shop. The corner clamping jig helped me assemble a cabinet base so much easier. It was like having an extra pair of hands and it resulted in an accurate 90 degree corner. Fantastic product! Only bought two sets of these clamps but will be buying more. Easy to use and squares up corners perfectly. Just used my set of four, what a great set of extra HANDS!. 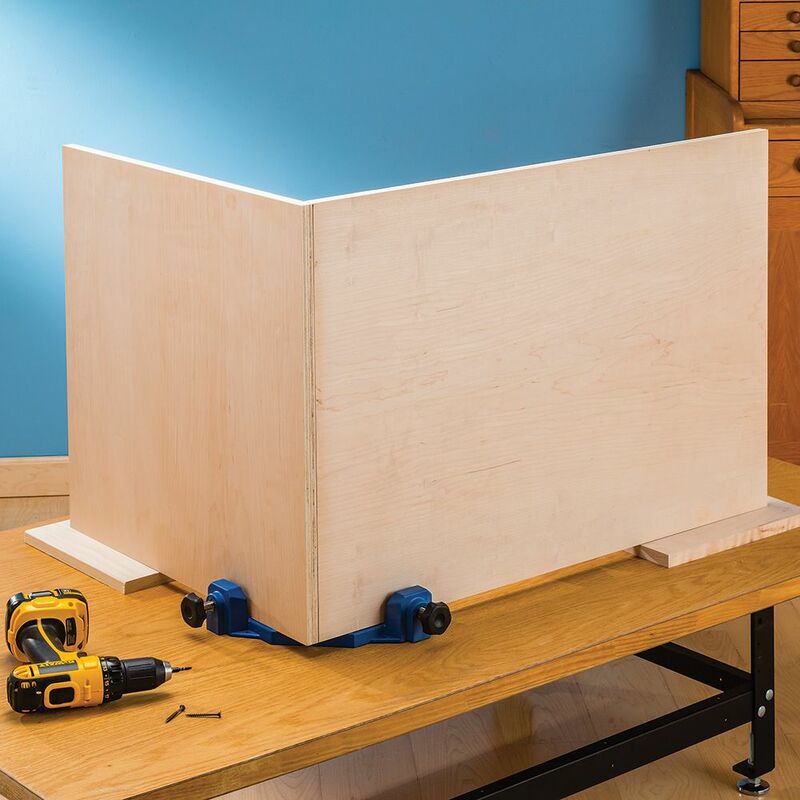 great for building cabinets, hold the parts in place while you attach the panels makes an normally y awkward job a simple single person operation. Look to be strong enough to last a long time given how much I'll use them. Have not actually used this product yet but did do a test with a couple of pieces of wood. Seems that putting together a square corner should proceed easily with this setup. I had already purchased the right angle "squares" that go into this unit. Cost tho seems a bit high. A great tool since I was only born with two hands. It is like having that extra pair of hands you need to square corners. These work great with the L clamps that Rockler sells, great for doing corner work with the two built in clamps that help keep the corners lined up, even and secure for glue work, pocket screws for both hard and soft woods. 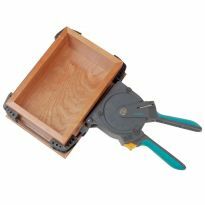 I have recommended to other wood workers as these are pretty stable, reliable, and hold together tight, better than many other clamps I have tried for these type of projects. Highly Recommend. 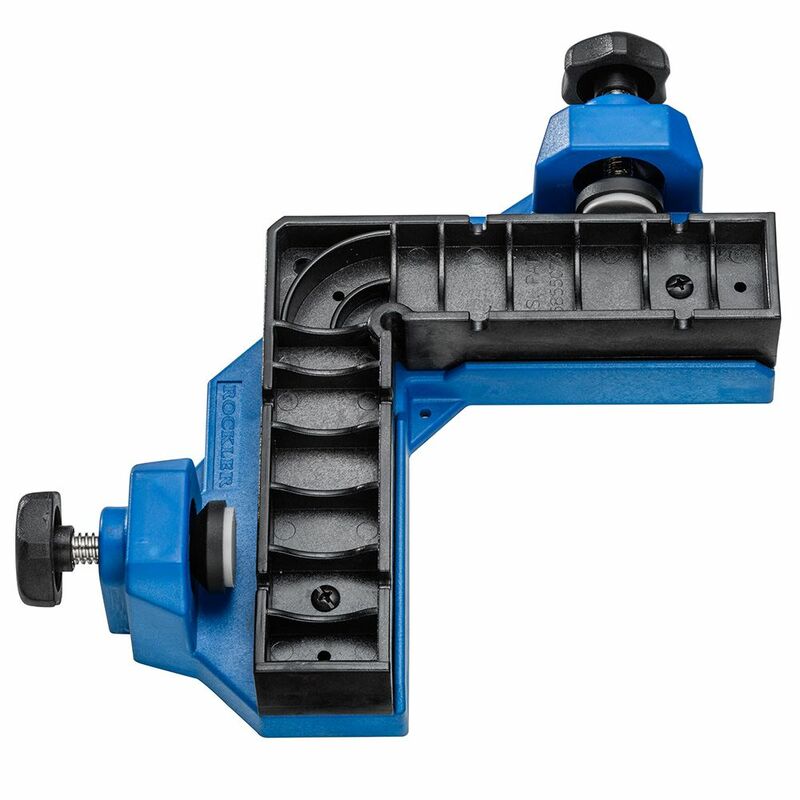 The corner clamping tool is one of the best tool it make the job go faster . Love it will need to buy couple more. 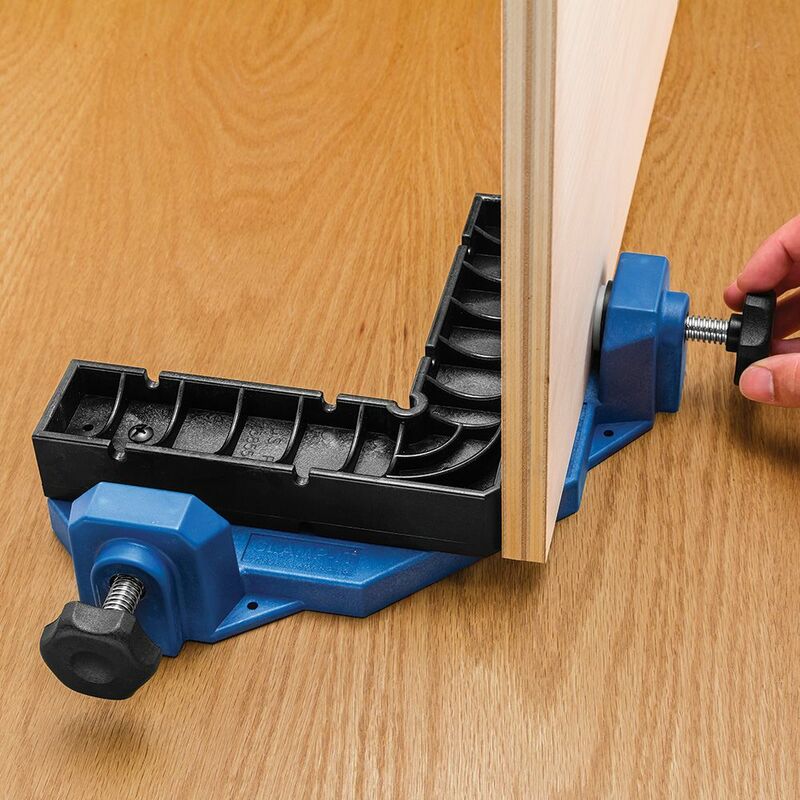 Outstanding cabinet clamping aid that works great. These were excellent for assembling base kitchen cabinets. I added a four inch riser (accounting for toe space) to support the cabinet bottom...worked perfectly. These are like having another set of hands in the shop. Before I bought this, I was using my own diy wooden jig. This corner jig won't swell crack and break like Oak wood. Works really well on big 34/-inch plywood cabinets, chest and boxes of that sort. My workshop is small and these clamps worked out perfectly. These clamps made my cabinet project so easy, I’ll just make an extra set of cabinets. These clamps are solid, strong, and simple to use. I would recommend to friends & family. I have used various corner clamping jigs - self-made, Rockler and other brands. I had a difficult assembly of a large cabinet and decided to try the Rockler Corner Clamping Jig. I was not sure it was worth the extra investment since I had the other jigs already. It worked as advertised and greatly simplified the assembly, so I bought a second jig to make things even easier. I have used it on several different jobs and my assemblies come out square and have saved time. going to build some boxes this summer. Have 2. love them. wanted 2 more to do all 4 corners at once. Looked to be the best option to use with the assembly square. I need the ability to assemble corners efficiently. Convenience and avoid using difficult C clamps. Works great with large projects. To assist in making cabinets for my workshop. To help in making drawers and boxes. It will complete my ability to merge a strait or rather to compile a set of holes in-line with the a solid direction for gluing. 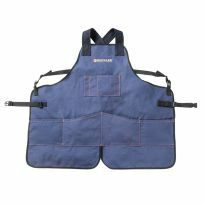 I’ve used assembly squares and this looks like a great companion tool. To help me hold the plywood at 90 degrees so screws can be installed . Any sort of box construction. I choose these cornering clamps to ensure I have perfect corners when building bookshelves. The cornering camps will hold the material steady, which will allow me to move around the workbench to fasten the shelves hassle free. Have two already and found them very useful. Two more will make assembly of boxes and drawers easier. I've even used the to assemble face frames. Gift for husband’s birthday.He is just beginning woodworking and this seemed as though they would be useful. To help with future projects. One customer brought up that they were a little pricey, and I agree, so I only bought two to try out. Using these with the assembly squares really works out well when assembling 1/2" or 3/4" boxes and cabinets by yourself. I also bought four of the assembly clips. Very happy with the jigs and clips! I need an extra pair of hands for assembling cabinets. For building laundry room cabinets. I saw a video where they used these clamps. Would it be ideal to have 4 of these while building cabinets or only having two will do just fine? I've had two and love them. I'm buying two more because of what you're stating. It is easier to have four. If you have a level surface then they can reference the surface and hold all the pieces together. Also buying the Rockler Clamp-it Clips. Love them Light pressure and great for alignment. I have Kreg 90degree corner clamps, but I prefer the clamp it jig because It will sit flat, with no handles in the way. I agree, it was a poor decision by rockler to not include the squares, you can't use it without them. At the very least they should have a package deal giving you a price break for buying the set. it is ridiculous. at this price they should be included. I'm moving onto other alternatives. I agree very poor decision. At these prices Rockler should have at least done a package deal. I am moving to other alternatives. If, like me, you already own two of the squares, it is good to be able to purchase the clamps alone. What size Replacement Knob to I need for this item? 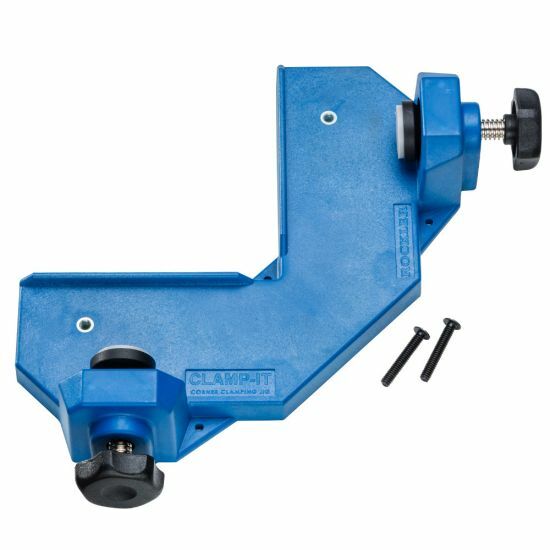 Can the Rockler Adjustable Clamp-It Assembly Square (Item #33586) be used with this? Or just the fixed 90º Assembly Square? So it does not work properly with the adjustable square? Yes, and the screws come with it. Will the 58918 hold 3/4 inch plywood plus the 29190? Jonathan, that is exactly correct!! Are there any similar products that would work for assembling carcasses built from 2x4's? BEST ANSWER: You can build your own narrower versions of the 29190 square add-on to clamp thicker materials if you need a higher lip on the backside. Otherwise you can go up to just shy of 3 inches without the 29190 square inserts. With the 29190's in place the maximum width is just shy of 1 inch. Not sure why Lyman L said small wood. So the answer is maybe, it you are talking about the 1.5" dimensional side of the 2x4, but not the 3.5" dimensional side. this is a great clamp for small wood, but doesnt allow for larger pieces. wish it did! Yes, they will hold up to 1" with the 29190 inserts. What would be the smallest box you could make before the clamps would bump into each other? I'm thinking it would be around 18"? BEST ANSWER: Looks like about 8" X10.25" insde clearence. 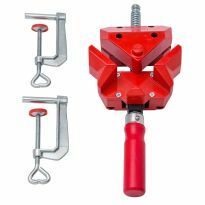 These clamps are excellent for aligning larger pieces that are to assembled with screws but are not good for asembling mitered boxes which require pressure from both directions. With that said very helpful in assebling cabinets etc. I have been using these for several months and find them indispensable in making my cabinets. The smallest would be 16" ID. I also use the Rockler clamp assembly square. The two go hand in hand. The inside dimensions of the blue corner clamps are 6" by 6", so you could make a box with inside dimensions of 12"by12" or larger, but you'd have to use the smaller 4" black ClampIt on the inside, versus the 8" version. 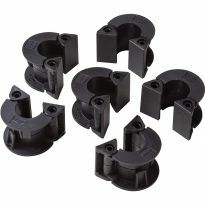 Would I be able to use these with Woodpecker brand clamping squares? 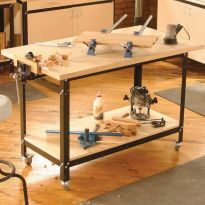 It would make setup time much faster than using separate clamps. BEST ANSWER: I bought two of these clamps and they have been a great help in many different projects. They certainly made the job much easier. They are easy to use. ¿Can this work with the Mini Clamp-it item (27767)? Will this work with your mini squares? I often build large wooden boxes with box joints. Will these work well to glue them square? Thanks! BEST ANSWER: Hi Carl. These clamp-it jigs are very heavy duty and work great. You must also purchase the clamp-it square (below) to go with each jig. You need at least 2 of each to be effective. I purchased 4 of each to give more versitality. 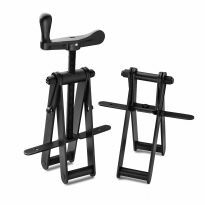 They are very pricey and I regretted purchasing them at first because of that, but they have proven to be very helpful when aligning large projects. I also purchased 2 sets of the mini clamp-it assembly sets. These clamps work satisfactorily when clamped properly to fitting material. However, if the material to be clamped is not cut square the clamp will render a unsatisfactory result. Great joints will result utilizing 90° joinery. I own four sets... Very helpful with all 90° joinery. These clamps work satisfactorily to when clamped properly to anything that fits. However, if the material to be clamped is not cut square, the clamp will render a satisfactory result. Perfect joints will result with 90° joinery. I own four sets... very helpful assembly jig. 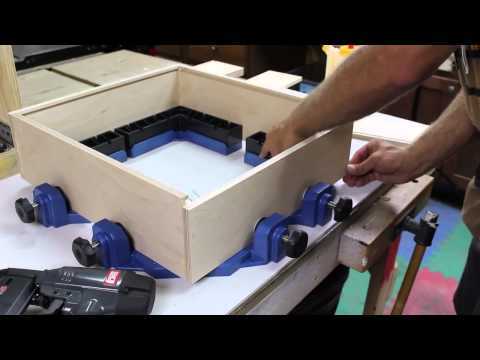 I recently made a large box and using two of these clamps and they worked great. I see no reason why it wouldn't work with any type of square joint on a box. For large boxes, I think two are needed. They should work OK, but I'm not sure they add that much, unless you make a lot all the same size. Then you could mount four to a plywood base and mass produce. it will work very well. It is the best I have found to heip you keep it square as well as being very solid. yes , it will help. You want need 4 clamps. 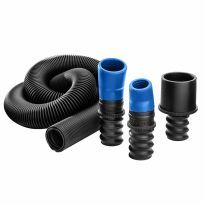 Would these work with Kreg pocket hole assembly? BEST ANSWER: They work really great. It is like having an extra set of hands. Highly recommended for any shop! Use with pocket hole screws all the time-works great! The screws are supplied to attach the 29190 inserts. What is the maximum thickness of wood it works with? BEST ANSWER: Up to an inch. Works really great on 3/4 inch just like they say. A second pair of hands. I have 4 units. Great tool. The Maximum wood thickness is 1"
The material I need to clamp is 1 1/8" thick. What max. thickness does this accommodate? BEST ANSWER: it's meant for 3/4" material and looks like it would take 7/8" thick but you could make your own clamp-it assembly square and make it slightly smaller and then your material thickness would probably work. ¿Can this hold thick panels accurately without use the 29190 item? BEST ANSWER: I suggest using the #29190 or the new 1/2'' Rockler Clamp-It Clips, 4-Pack #58225 or 3/4” #58849. They will make your life a lot easier when building cabinets. I wouldn't think this would work without 29190. I don't think there's enough of a lip to hold panels without 29190. Under the heading of "what's included", it states 1inch screws to attach Clamp-it (28120 screws not included). Are they included or not included? BEST ANSWER: The screws are included. Part number 28120 does not appear to exist. Part number 29190 in the current listing, which it says is is not included, is the black right-angle assembly square you see in the picture used with the corner clamping jig in question. No screws were included with mine. 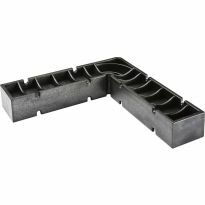 Can I make accurately T-joints of different and equal thickness with this item? I bought two of these corner jig clamps and they arrived with out the black angle pieces shown in the photos. Are they not included? The clamps appear to be useless without them. BEST ANSWER: It's used with the Clamp-It® #29190, sold separately.